But then, the government issued a real office memorandum signed by expenditure department director Subhash Chand clarifying that the “O.M. dated 30.03.2015, purportedly issued by the Ministry of Finance is fake and no such instructions have been issued by the Department of Expenditure, Ministry of Finance.” “Accordingly, all Ministries/Departments and Central Government offices are hereby advised not to take cognizance of these fake instructions being circulated in Government offices,” the OM dated April 1 said. On Tuesday, the Union Cabinet chaired by prime minister Narendra Modi gave its nod to release an additional installment of dearness allowance (DA) to Central Government employees and dearness relief (DR) to pensioners with effect from January 1, 2015 at the rate of six percent increase over the existing rate of 107 percent. “Central Government employees as well as pensioners are entitled for DA/DR at the rate of 113 percent of the basic pay with effect from 01.01.2015. 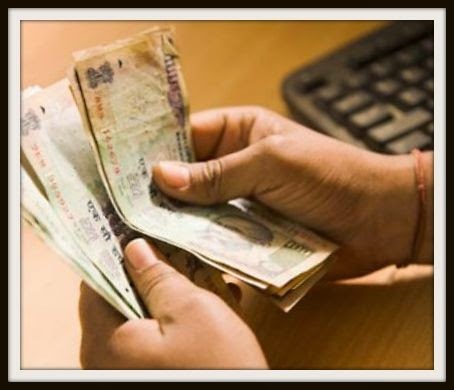 The increase is in accordance with the accepted formula based on the recommendations of the 6th Central Pay Commission,” a government statement said. It will, however, impact the exchequer. The combined impact on the exchequer on account of both DA and DR would be Rs 6,762 crore annually and Rs 7,889 crore in for 2015-16 ( i.e. for a period of 14 months from January 2015 to February 2016), according to government estimates.